Moscato has skyrocketed in popularity in recent years, quickly becoming one of the top-selling white wines in North America. 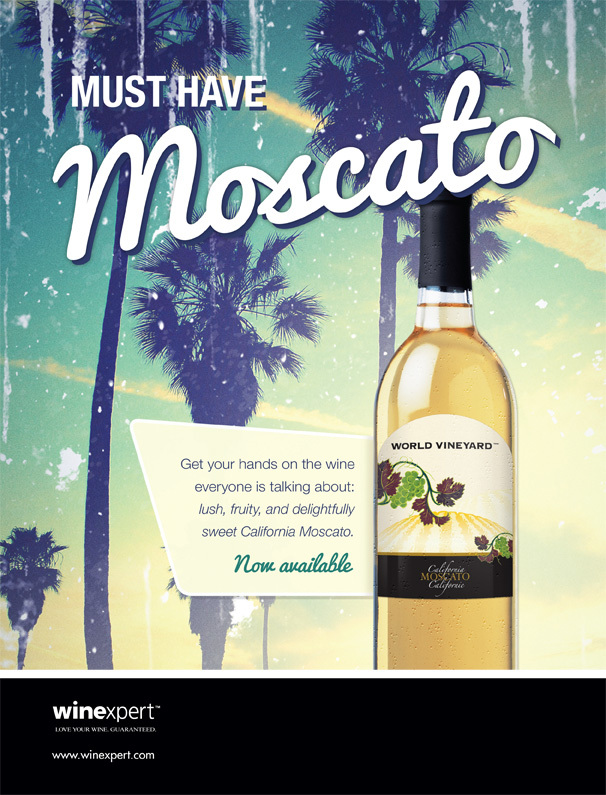 And with succulent peach and juicy tropical fruit flavours, there’s lots to love about our new California Moscato. Sip it lightly chilled, or mix with vodka, frozen fruit, or club soda for a punchy twist. Moscato is rapidly gaining ground as the new favourite drink for celebrations, but this is a wine you'll be happy to open up any day of the week, for any (or no) occasion at all.